The things of the world keep changing all the time. We see numerous technological advances, the rise and fall of civilizations and no human being is spared from change. One thing however, will not change and that is men will always be men. 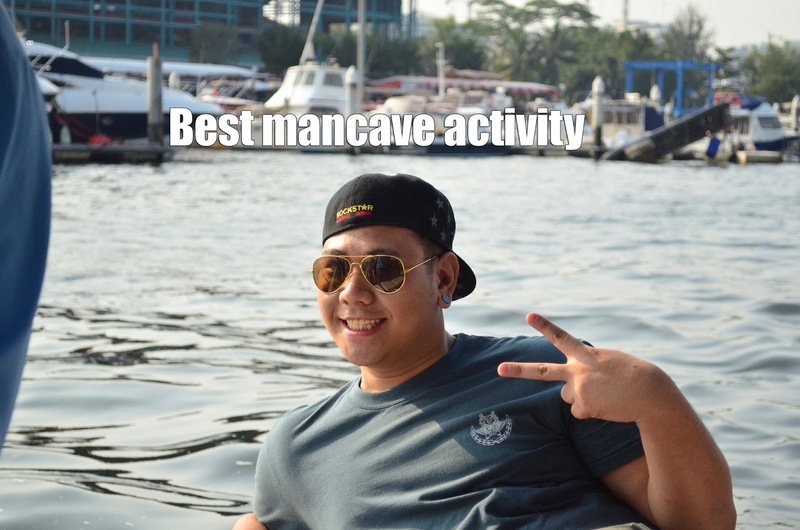 Man caves will always exist and fishing is one popular man activity that will continue to exist as long there are still fishes to be caught. My boyfriend, the shy Baktao is such a man. I’ve seen men get shackled by their wives and “banned” from fishing and I wonder, why can’t some women or girls see the benefits of letting their boys go out for fish or two? Baktao has been going fishing quite often and there are certainly more positives than negatives. Below are 10 of them. Hunting and gathering has been an activity that man has done since the old days. To hunt down, catch and finally kill a fish is the hallmark of a great man because it shows he can provide for you. 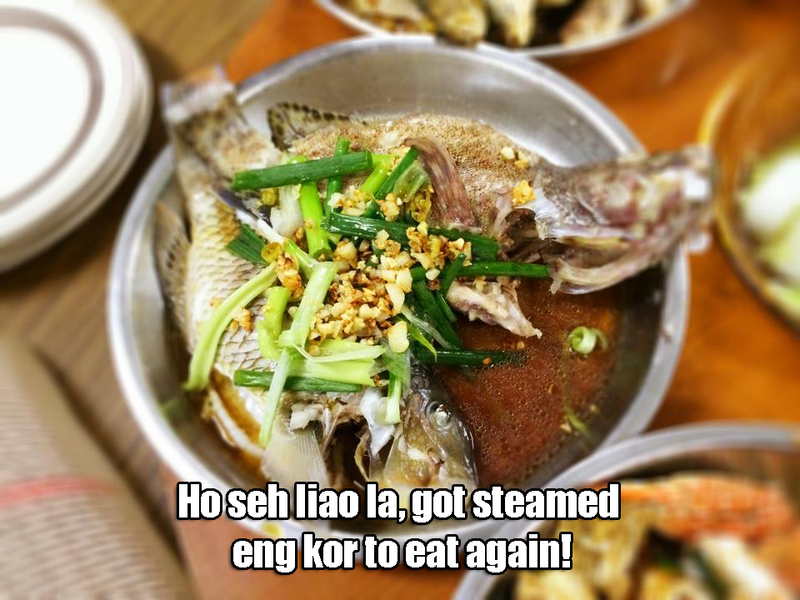 Your man probably knows how to gut the fish and he is not squeamish about it. This survival skill also is applicable in real life because your man turns into a real life fish expert. He can name any fish that’s available in the market and can check if the fish is fresh. He turns into your 24/7 fish consultant. Also, if you happened to be stranded on a deserted island like Meemu Mulah in the Maldives, you can be certain that you won’t go hungry. Everyone knows that it sometimes isn’t easy to buy presents for men. It may be his birthday or it may be father’s day but don’t women always ask, “What do I get for him? He already has everything!” Men are like that. They are very functional creatures who only need logical things like normal clothes, a pair of socks and maybe a bag or two. The thing is that most women do not realise that men will never get enough of quality fishing tackle. Men don’t care about the latest Prada bags but you can be certain they’ll be eyeing the latest Shimano reels. Men don’t care about fancy colourful desserts but you can be certain, they’ll want that cute, shiny popper that’s imported from Japan. 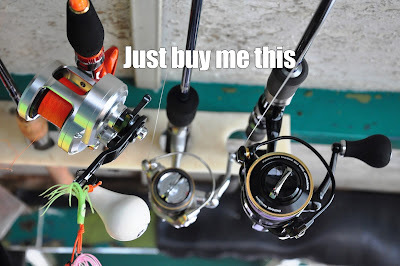 If your man fishes, buy him fishing gear and you will never go wrong. Those who know the prices we pay for quality fishing tackle like the Shimano Stella ($1000) will not be unconvinced but here’s the thing – Men also play golf, drive luxury sports cars and indulge in other ridiculous man hobbies. 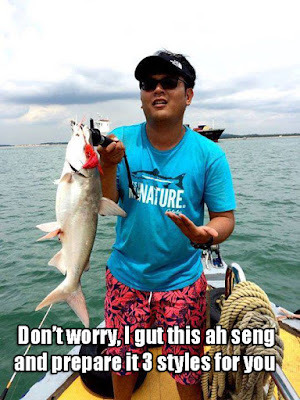 Fishing trips will never ever be on par with these hobbies dollar for dollar. 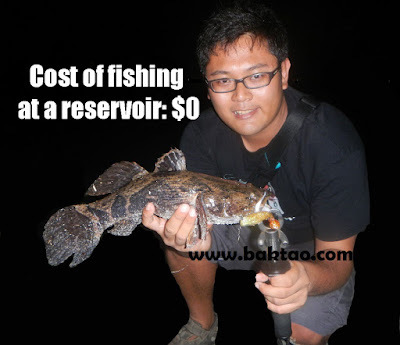 Fishing gear and types also range from low budget to high budget so it is very flexible. Whatever fishing you do, it’s still fishing. Compare that to luxury sports cars because if your man say’s buying a Cherry QQ is the same as buying a Ferrari, then you have to bring him for a checkup. This is one point that should stick out to women because it really is true. 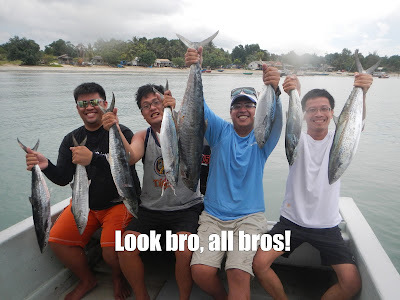 Ask your boyfriend or husband about any fishing trip, check his photos or join him on the trips because you will notice that 99% of the times, his kakis are dirty, smelly fellow men who pose no danger to your man whatsoever. Fishing boats are also usually not very women friendly because of toilets and all. If your man is going on a golf trip to a resort, you never know what will happen there but if he’s on a smelly fishing boat with 8 other man, it’s safe to say that it’s all good. 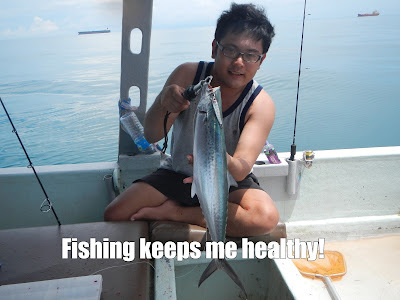 Yes, yes everyone says that if you go fishing, you must be patient and although that is true for many a man, you’ll find that fishing also trains the softer side of him. A boat full of excited, competitive men can sometimes mean that your man is all out to get the prized fish and show that he is the best fisherman. What if he doesn’t get the fish or what if his fishing pal ends up eating “ice cream”? That’s when fellow anglers care for one another and share fish with one another. It’s also common for anglers to share fishing tips with one another and have good natured relationships with each other. Fishing is one of the few hobbies that combine sports with fun and is usually safe (unless you are fishing illegally or at high risk areas). Your man drops his line in the water, gets a little sun on his face and feels the breeze course through his hair on a lazy day. Be grateful that he’s not into body building, cycling and other more high risk sports. Baktao says he seldom meets men who don’t want their girlfriend to be into fishing and that is true. Fishing has the capacity for a couple to get involved together. 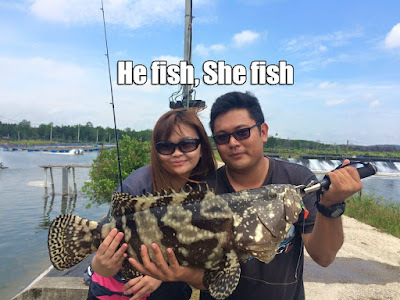 Some men bring their women on exclusive, romantic fishing trips to the Maldives. Some invite them along for a fishing trip with their male kakis. It just takes another pair of fishing equipment and you’re settled for a fishing date. If your man invites you to a fishing trip, go with him and see him gleam when you catch a fish or two. Women don’t need to see their man every single day. Sometimes, women need free time too and like men, we have woman caves. We go for our spas, manicures, high tea and shopping. Isn’t it wonderful that your man has an activity that he can do without you? I know I said fishing is a good couple activity but when your man needs time off, you can be sure he’s busy fishing and not somewhere indulging in alcohol! I’ve saved the best point for the last one and this is a tip that many women actually don’t know about fishing. Fishing is cost effective when it comes to bargaining with your man and it’s almost always your winning chip. Couples always make compromises with each other and this is where the men always lose out when it comes to fishing. When men want to fish, they will do anything to get the “license” to go fishing. 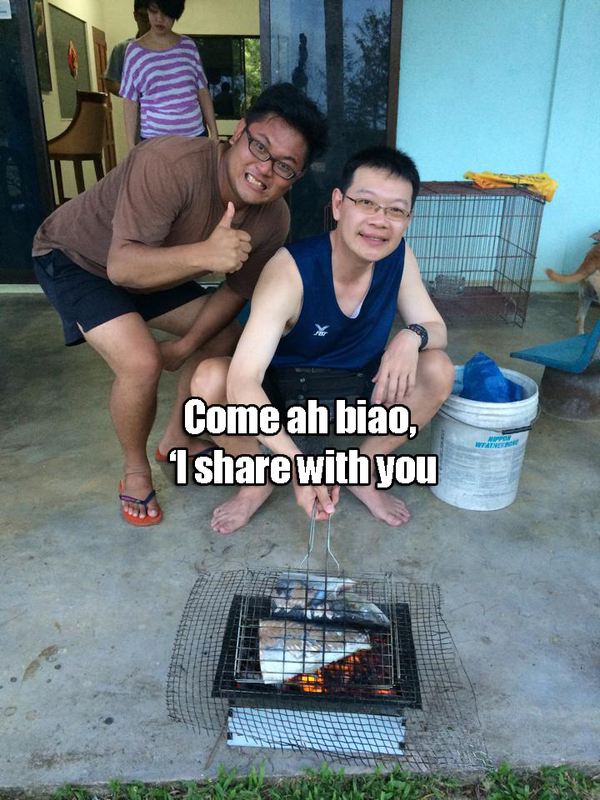 For example, when Baktao wants to go fishing, he will do anything to get this license. He will agree to all sorts of trade and compromises that I put on the table. 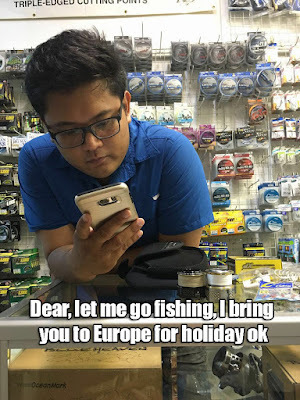 Try the usual, “If you want to go fishing, perhaps you can pay for my manicure” or “Sure, you can go fishing, just don’t forget that family trip to Europe or my LV bag”. Also, if you’re giving your man this license, always say it with authority and as if you’re the one that decides his “fishing annual leave”. Try it out the next time but don’t say I say one!